Looking for a fast way to kill a couple of hours? One word: Etsy. While I haven’t gone as far as actually buying anything from the online marketplace for vintage and handmade items including artwork, jewelry, clothing and everything else under the sun, I do love to while away the time going through the different vendors. Today, for example, I came across this awesome vendor, who kind of randomly, makes food miniatures into jewelry and accessories. Thing is though, they’re really good! Like if I didn’t know they were itty bitty versions, I might think that half of these are the real thing. Check them out. 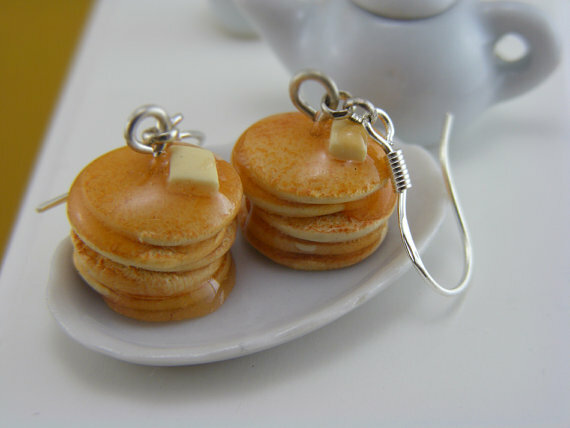 Mini pancakes… for your ears!